Yesterday was my birthday. I spent the whole day doing only things that make me happy. It was wonderful day! Beach, gardening, snacking, and just being lazy. In the evening, the roomies surprised me with dinner with some friends at a great ramen place that I had been dying to try. Everything was perfect. Great food, great drinks, and great company. I even found French macaroons in the fridge as a birthday surprise! I ate a lot great things yesterday but didn’t get a chance to cook anything for today’s blog post so this recipe is a standby that I happened to have pictures of in my phone. I warn you, they are not the best but they will do in a pinch. This recipe is one of my favorites. I make it at least a couple of time a month. This soup is fast and easy and oh so comforting. You can use any combination of seafood you want. Since I grew up in New England, I like to use Haddock or Cod but I have made a version of this with Hawaii seafood instead. Mahi mahi is a good fish to use because it doesn’t fall apart in the hot soup. If you prefer, you can use other types of seafood completely. Shrimp, scallops, and clams are always a sure fire winner. If you want to make this a bit richer, cook some bacon in the pan beforehand and use the bacon fat instead of (or in addition to) butter. Remember to keep the bacon to scatter all over the top of the bowl…if you don’t eat it all first like I usually do. 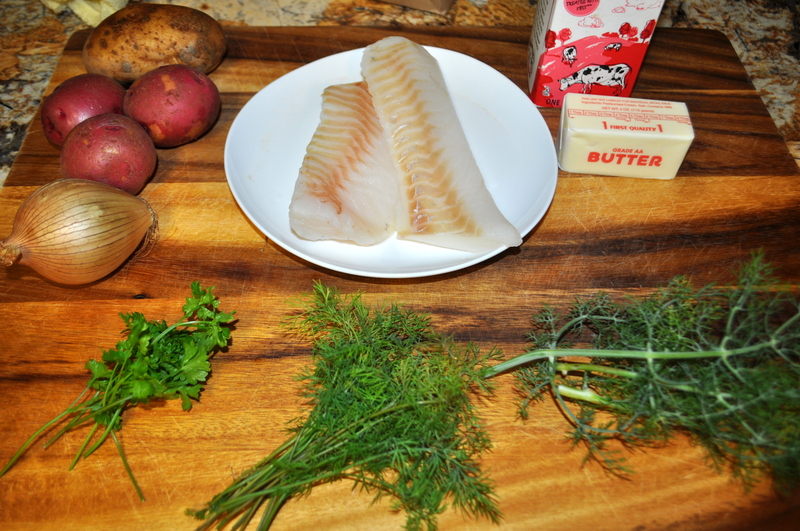 This soup base can also be made with any other kind of seafood. Simply adjust the cooking time for each variety of seafood you use. Shrimp and scallops are good candidates. Dill is actually called shepu ( shape – oo) in Mumbai in the local language. Most people here find it repulsive but I love love love the flavour . What a conincidence the first thing I read on your blog was a recipe with dill ! Thanks! Soups like this are very popular in New England and the rest of the Northeastern part of the U.S. I love them! 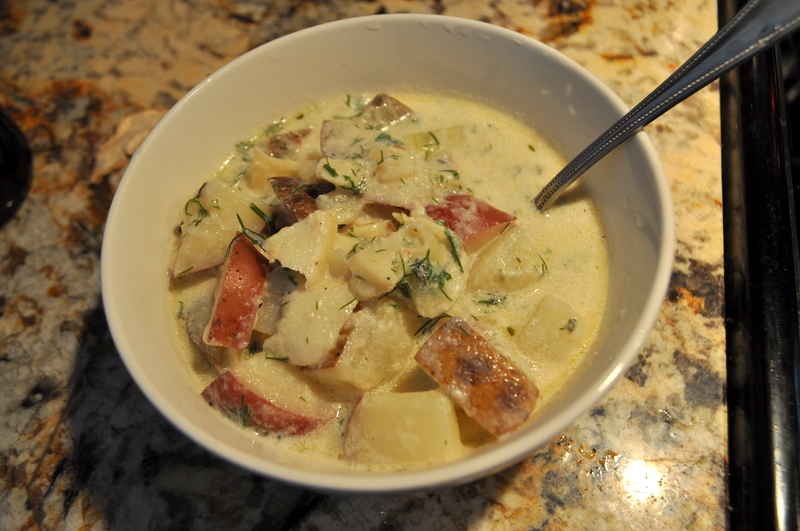 Looks delicious and very chowder-like!